Vacations are about the memories you make, and it starts with the anticipation—from finding just the right destination and pinning down your itinerary, to nabbing a value that gets you even more excited to get away. 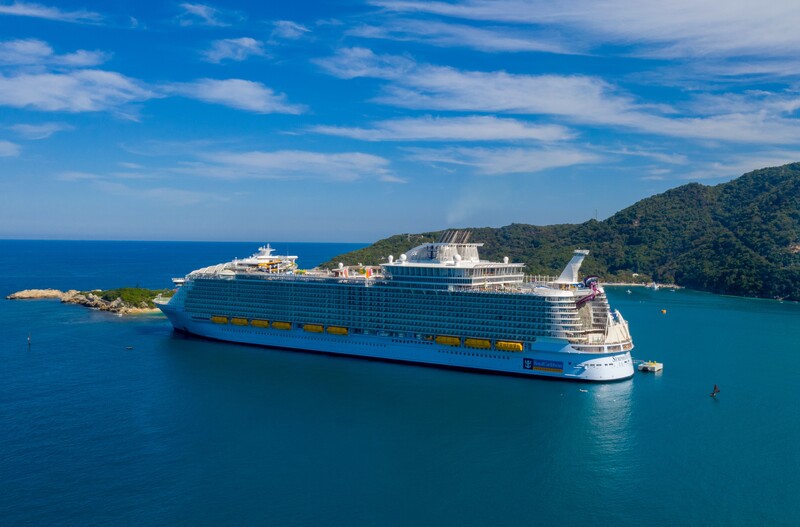 With a lineup of more than 260 destinations, newly modernized ships and a new, $250 million private island destination, Royal Caribbean is dialing up the adventure like never before. Whether you’ve cruised before or are considering it for the first time, you’ll want to start off your planning with a few basics on timing. Curious to know the best time to book a cruise and your flight, or if there are surefire ways to score upgrades. Read on for our tips to help you plan like a pro. How Early Should You Book a Cruise? 12 to 18 months: As a general rule of thumb—the farther you are traveling, the further out you will want to consider booking. Cruise lines open their new itineraries around the world earlier than airlines do. If you’re planning a bucket-list trip around Australia or the Baltics, or headed to a locale best explored by sea (like the Mediterranean or Alaska), it’s wise to book early. Having plenty of lead time will give you the greatest choice when it comes to choosing your preferred style of accommodations and airfare. 6 to 12 months: This is typically the sweet spot for travelers. At six months or so from your travel dates, you’ll usually find top deals on airfare, even for international destinations. It also strikes a great balance between that exciting moment when you book and the anticipation of waiting for the vacation to arrive. Closer in: Arranging your cruise three or four months before your vacation time is possible—and occasionally there are amazing deals to be found—but it’s not the option we would recommend. In general, when you are this close to a cruise’s departure date, many itineraries and staterooms have been booked (especially on sailings that are seven nights or longer). Are There Incentives or Upgrades I Should Know About? There is no guaranteed, secret formula for scoring a beverage package or balcony upgrade, but savvy planners should consider booking an adventure with Royal Caribbean during Wave Season. Running from January to March, we offer booking incentives that can include onboard credits (or spending money), discounts and added-value offers. Booking early is a good way to score perks, and don’t forget to ask about special programs that might be inclusive of your profession, like a police officer, firefighter or member of the military. You might also want to consider trying out RoyalUp—our new bid-based stateroom upgrade program. Which Way to Book is the Best Fit for You? The online booking experience is getting better all the time, especially with our expert vacation planners on call. If you’re more comfortable going with a travel advisor, though, there are also great benefits. Travel professionals can help guide you through the whole process of choosing which ship to cruise on and what kind of stateroom is the best fit for you and your family and keep you organized along the way. Some may offer their own incentives in addition to the cruise line’s offers. If you’re booking several months or more than a year in advance, make sure to use this time to do your research and make comparisons to decide which option is the best fit. If you’re ready to experience all that Royal Caribbean has in store for your next vacation, head here to find the perfect cruise.